Singapore: Toshiba is to buy Shaw Group's 20 per cent stake in nuclear-plant designer Westinghouse Electric for about $1.6 billion (Dh5.8 billion), increasing its share to 87 per cent. Shaw is exercising its option to sell the stake to Toshiba after a rise in the value of the yen helped to boost its Westinghouse debt by more than 50 per cent during the past five years, according to a statement on Tuesday. The option to sell was part of the company's 2006 purchase of Westinghouse. Toshiba will pay about $1.6 billion for the stake, Shaw chief executive officer and chairman James Bernhard said. Toshiba is open to new partners in Westinghouse, designer of the AP1000 and Advanced Boiling Water reactor designs, and ‘several companies' have expressed interest in investing, the Tokyo-based company said in a separate statement. Toshiba said in May it expects to win 39 reactor orders, generating one trillion yen ($13 billion) in revenue from its nuclear business in the year ending March 2016. The company has warned about possible delays in approval of new construction projects. The US and other nations are reviewing regulations after a March 11 earthquake and tsunami in Japan caused the worst nuclear accident since Chernobyl. Toshiba fell 5.1 per cent to close at 297 yen on Tuesday, the lowest since April 2, 2009, after the Wall Street Journal reported it was in talks to buy the Shaw stake. Shaw increased $1.70, or 7.8 per cent, to $23.53 in New York Stock Exchange composite trading on Tuesday, its biggest gain since November 29. Toshiba has slumped 41 per cent since a March Japanese earthquake and tsunami wrecked Tokyo Electric Power's Fukushima Dai-Ichi plant. 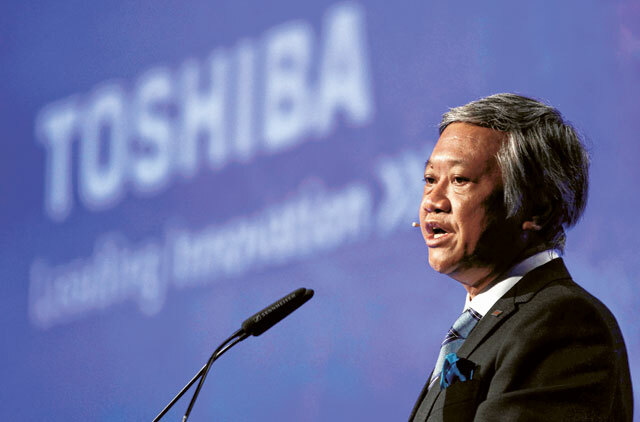 Toshiba paid $4.16 billion for its 77 per cent stake in Westinghouse in 2006. It nows owns 67 per cent after Kazatomprom, Kazakhstan's state nuclear company, purchased ten per cent in 2007. Japan's IHI owns the remaining three per cent. There are orders for ten of Westinghouse's AP1000 reactors in the US and China, including the two-unit Vogtle plant proposed by Southern Co in Georgia. Toshiba said Shaw will remain the contractor on reactors that have been ordered and will be considered for future nuclear projects. Shaw will lose exclusive rights to build the reactors, the engineering and construction company said. The sale will eliminate Baton Rouge, Louisiana-based Shaw's yen-denominated debt as the US dollar tumbled against the Japanese currency. "It's something we've been considering for quite some time," Shaw chief financial officer Brian Ferraioli said. "The continued appreciation of the yen against the dollar has been relentless five quarters in a row."